Zoning Caused the Housing Meltdown? Restrictive anti-density land regulations are responsible for many bad things, like racial and economic segregation, as well as suburban sprawl. To this list, Randall O’Toole of the Cato Institute adds another. He claims that these regulations--and not Alt-A mortgages and lax oversight of asset-backed derivatives markets--are responsible for the ephemeral and extraordinary price increases associated with the housing bubble. This simply can’t be true. First, there is the logical problem. It is difficult for a place to experience excessive growth when its growth is excessively hindered. Prices are higher in more regulated markets, but those prices reflect a scarcity of supply, rather than irrational market exuberance. A bubble requires an increase in investment in the relevant asset, but in a supply-constrained housing market, many investors, in the form of would-be home buyers, are shut out. In the extreme case, there is no bubble in such a market, only low taxes and appreciation, which is why suburban homeowners vote for the regulations in the first place. The second problem is reality. Economist Ed Glaeser and his colleagues have pointed out the problems of housing regulation on many occasions, but in their more recent paper, they are left with the conclusion that many relatively unregulated markets were caught up in the recent bubble. Although data on zoning is hard to come by, we have access to a detailed survey of land regulations in the 50 largest metropolitan areas, conducted by Rolf Pendall in 2003 and discussed in a 2006 Brookings report. There is no positive relationship between tight regulations and bubble-like symptoms. In fact, declining areas in the upper Midwest and Northeast, which have the most anti-density regulations, have seen the least change in their housing prices and foreclosure rates, as the Brookings MetroMonitor shows. Why? Because the housing markets there were already dead, due to a combination of excessive land regulation and larger macroeconomic factors. Using data from the 50 largest metro areas, the attached figures should be enough to disprove O’Toole’s thesis. Housing supply growth in the 1990s is positively (and significantly) correlated with recent declines in housing prices and higher foreclosure rates. As a large body of economics literature concludes, housing growth is faster where there are looser regulations. In order for O’Toole to be right, housing supply growth would have to have been fastest in the metros with the most anti-growth regulations, which would mean that the regulations were meaningless, which would mean that they couldn’t be the cause of a housing bubble. In other words, these facts can’t be reconciled with his hypothesis. The relaxing of anti-density zoning is something we desperately need for many reasons, including greater equity between race and class as well as economic growth, but it does not help the cause to invest the case with exaggerated charges. 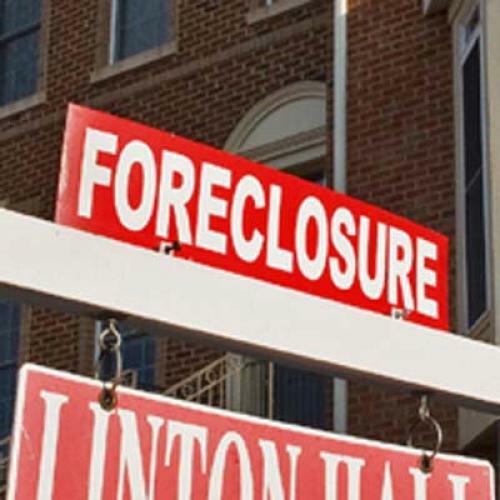 The liberalization of zoning will not help prevent future foreclosures. On the other hand, better federal regulations could. The starting points should be the sub-prime mortgage industry--in the form of enforcements requiring evidence of income and employment--and the mortgage backed security industry--in the form of more transparent and accountable transactions. But supporting those actions would be inconvenient for Cato’s view that the solution to every problem is freer markets.